Royal Challengers Bangalore live to fight another day as they won by 14 runs in their penultimate game against the Sunrisers Hyderabad in Bangalore. They now go upto 12 points and join MI and RR who are also in the running for the playoffs. RCB posted 218 batting first. The innings was designed by a 107-run stand by AB De Villiers (69) and Moeen Ali (65). This was after Virat Kohli and Parthiv Patel was dismissed early by the SRH bowlers. 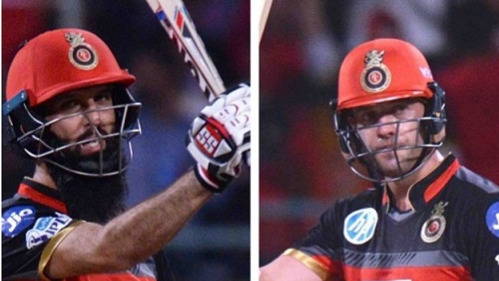 Late cameos from Colin de Grandhomme (40) and Sarfaraz Khan (22) triggered RCB to a mammoth 218 after the end of their 20. Chasing 219, skipper Kane Williamson scored 81 off 42 with Manish Pandey scoring 62 off 38. Both kept Sunrisers in the chase until Williamson was dismissed in the 20th over by Mohd Siraj. 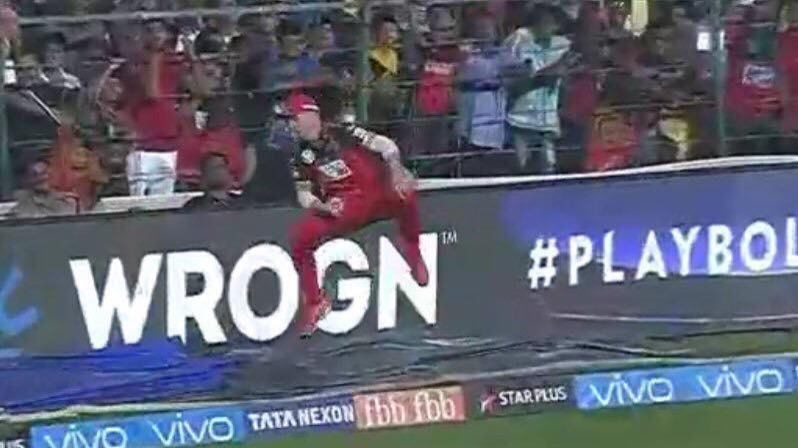 Earlier in the Sunrisers innings, the Chinnaswamy crowd witnessed an absolute blinder of a catch from AB de Villiers to dismiss Alex Hales who was posing a threat to the RCB bowlers inside the powerplay. RCB kept their playoff hopes alive with a win. They face Rajasthan Royals next in Jaipur to play an eventual knockout contest on Saturday. The loser of that game will be eliminated from the tournament and the winner will potentially make it to the playoffs. The various twists and turns in this game kept the Twitterverse interested. While they enjoyed De Villiers' catch they also witnessed some sublime batting from Kane Williamson, Moeen and Manish Pandey. Here are some of the best tweets from the contest. Thriller! Sensational chase by Williamson & Pandey. Bangalore lucky to get Williamson just when he threatened to run away with game.